Bonsucro certified sugarcane area harvested now accounts for 1.25% of the 136 million tonnes of sugarcane harvested in 2010/11, driving up the demand for certified sugarcane produced to sustainable standards. Bonsucro aims to improve social, environmental and economic sustainability of sugarcane by promoting the use of the global metric standard. As 2012 enters its final lap, Ragus can look back and reflect on a magnificent season of sporting achievement for the legendary Scottish racing team, Ecurie Ecosse. Throughout the year, the Ecurie Ecosse-entered BMW Z4 GT3 car carried the colours of Ragus as it battled its way to victory in GT races across Europe. The team only narrowly missed out on winning the British GT Championship at Donington Park, but that has made them even more determined to succeed in 2013. Ben Eastick driving the Ecurie Ecosse GT3. Here at Ragus we believe in success, and success never feels sweeter on the race track than when a car passes the chequered flag in first position. 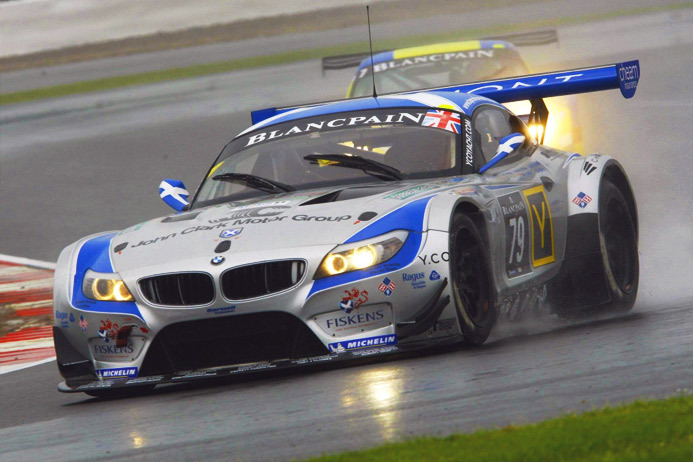 The legendary Scottish sportscar team Ecurie Ecosse celebrated their full time return to international racing in 2012 by extending an invitation to partners to drive their race winning BMW Z4 GT3 at Leicestershire’s Donington Park. Here at Ragus, when we heard this news, we weren’t short of applicants to drive the BMW. However, to drive the car on-track an international race http://viagradiscountstore.com licence was required, and so that shortlisted Ben Eastick to the envious task. On a bright but cold day, Ben was handed his chance. Early in the afternoon when the damp track had dried to allow him to make full use of the car’s ‘slick’ Avon tyres, Ben was allowed to drive the race-winning Ecurie Ecosse BMW Z4 GT3. Andrew Smith, Ecurie Ecosse GT driver: “Ben definitely got the most out of the experience of driving the Ecurie Ecosse BMW Z4 GT3 given his limited track time, which hopefully Ragus can utilize in 2013 when entertaining corporate guests at GT racing event. Attending rounds of the British GT Championship would allow Ragus to give their guests a real insight into what it is like to compete with, and drive, the very latest specification GT race car”. Hugh McCaig, Ecurie Ecosse Team Patron: “Here at Ecurie Ecosse we have a very firm plan of where we want to go and which races we want to win. The team enjoyed success at Le Mans in the 1950s and we obviously wish to return to La Sarthe in the future. Ecurie Ecosse, like Ragus, has a very clear business plan and we really hope that we can learn from each other’s successes during the years ahead. You are currently browsing the Ragus blog archives for January, 2012.